Are you planning to build an outdoor living area with a pool and patio? Or just a new addition such as a pool deck? Our staff of customer service reps, design pros, and swimming pool consultants has seen and done it all. In this post, we will discuss the things that need to be considered when planning and designing your pool and outdoor living area. State of the art design software enables us to show you how your pool and outdoor area will look when the project is complete. Using this software, we can ensure that everything is perfect on the first shot, eliminating the need for alterations or adjustments after the fact. Willsha pools can help. Let’s dive in! Planning is the first step in building your pool. Pool planning means ironing out the requirements for the pool as well any limitations. What are the dimensions of the proposed build site? How many people will use the pool regularly? How deep do you want the pool? 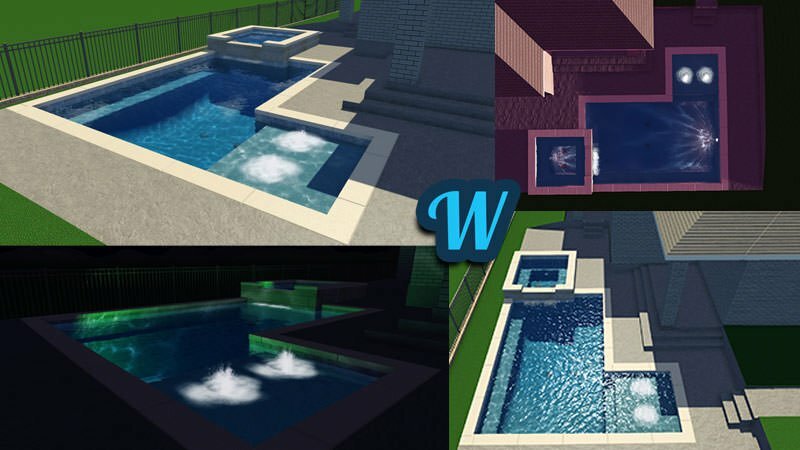 Do you want water features? Do you want a hot tub attached to the pool? What features and accessories do you require? How much patio furniture do you want to have? If you plan properly, you will save a lot of time, money, and frustration as your project progresses. Most customers do not know their build site dimensions. Using your survey and measuring is the starting point for all pool planning. Since you cannot change the dimensions of your property, knowing the dimensions of the project area enables you to have an accurate idea of costs and limitations. The distance from the pool to the house is also essential to know. On larger properties where the pool is built farther away, an extended deck or simple stone path may be required. How many of your friends will want to hang out all summer long, once you complete your project? 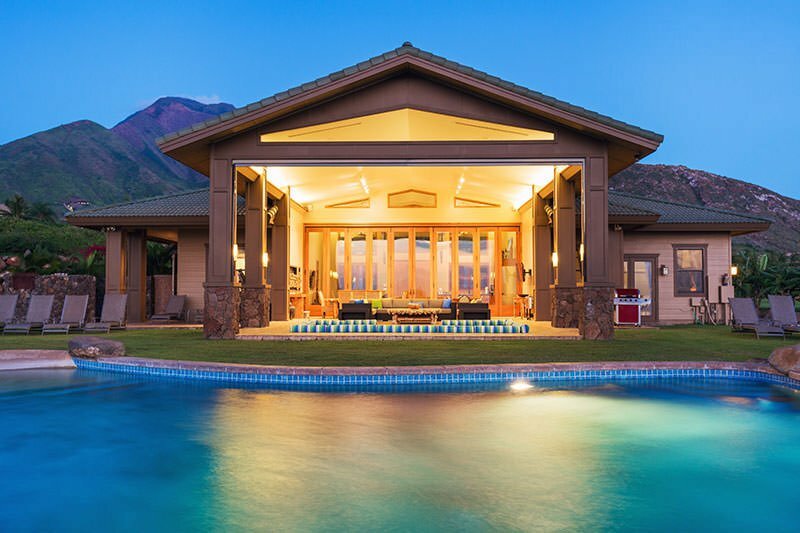 If you want to host barbecues and backyard parties, the pool area must be big enough to accommodate your guests. If you have a small family and only a few visitors, you can save money by not overbuilding. Have you considered all the features and accessories that can enhance an outdoor living area? Grottos, fire pits, outdoor kitchens, spas, cabanas, stonework, and privacy screens are favorite additions of ours and can help to add character to your outdoor living area. Don’t leave patio furniture as an afterthought. Decide early what is best for your needs. Upright chairs, lounge chairs, cocktail tables, outdoor dining sets, umbrellas, and daybeds are popular choices. How many furniture pieces do you want? How much space between each piece? After you can answer these basic questions, you should consider the design process, layouts, and other practical steps. Our design professionals can assist you with the concept, design, and specific layout of your pool. During the design phase, it is essential to look at the big picture first. Details come second. What materials would you prefer to use? What overall style do you want (classic, modern, natural, etc.)? You can then make an initial concept sketch on your own or with a designer. With the initial concept, you can see how you like the look of different configurations and pool designs. Unless you are an architect experienced in designing and measuring architectural features, this may be the perfect time to give us a call. When you are satisfied with the concept, we can help you estimate the costs. If the project is over budget, we can take a look at possible changes to the size, features, or timeline. It is more economical to get a project done in a single phase. Due to cash flow issues some customers choose to split the project into two or more less expensive phases. Once we settle any budget concerns, it’s time to move past the initial design phase to detailed design. Our detailed design includes all the details you may not have considered such as safety, electrical wiring, water source, and circulation system. Once you approve on the pool details, we are ready to begin building. We always seek customer approval of the designs and contract before we start the building process. That way we remove the need for any last-minute changes or second-guessing later on in the project. With a detailed design, we can provide an accurate estimate before we build. If any budget issues arise, it is important to consider what tradeoffs you are willing to make. We recommend you thoroughly plan and obtain assistance designing your pool and outdoor living area before making any big final decisions. However, it can also be helpful to look at different pool and patio layouts, especially if you’re feeling indecisive during the pool design process. Each layout has pros and cons. By considering different patio layouts along with answering the planning questions, you may gain some clarity. A sun deck is the most common pool deck and patio design. It is common for a good reason though. Sun decks are perfect for lounging by the pool, sunbathing, and relaxing outdoors. A sun deck is a flat deck that extends partially or fully along the perimeter of the pool. A sun deck looks great with lounge chairs. If you prefer not to be in direct sun, a covered patio or outdoor kitchen may be perfect for you. An open structure with a roof provides shade. You get to decide how big the covered patio is; it can even provide shade for some of the pool itself. A bistro patio is a space designed around a bistro table and two chairs. The bistro patio is perfect for small backyards and compact pools – a bistro patio pairs well with a smaller pool deck. It can be built adjoining a pool deck or attached with a small stone path. A garden retreat is all about embracing the natural setting. It can make your backyard feel like an exotic getaway. Instead of patio furniture, the garden retreat emphasizes plants and natural materials. This layout can encompass a wide range of designs, from a lush landscape of greenery and blossoms to a few tastefully selected container plants. Don’t make the mistake of overlooking pool permits as you begin pool planning. Learn about the pool permitting process in your area and the whole project will go smoothly. Because pool permit requirements vary between different counties and towns, leaving this step until the last minute can cause enormous problems. Imagine having your dream pool designed, budget ready, design approved, and realizing you forgot to research the required elements for a permit in your area! There are multiple layers of rules and regulations that govern pools, beyond local permitting. The team Willsha Pools have a good grasp of legal requirements in various cities around the Dallas-Fort Worth metroplex. In a large area like DFW, there can be as many as a dozen different standards depending on where you reside. Don’t leave it up to chance or luck! Some municipalities, including Tarrant County, rely on the Texas Department of Health Swimming Pool Standards as their municipal standard. Contact your municipality to be sure of their standard. Here are direct links to pool permit applications and checklists. Click the link that applies to your municipality and you can learn the requirements you will need to meet. If your municipality’s permit page isn’t listed above, contact your town or county government – or feel free to contact Willsha Pools for help. If you are thinking about or planning on building a new pool, contact Willsha Pools with any questions you have. We can help throughout the planning and designing process and even over free consultations.